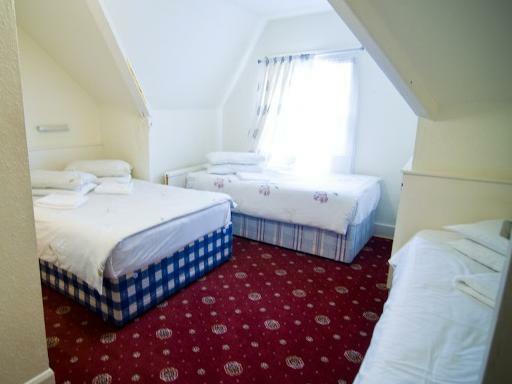 ﻿ Five Kings Hotel London. JIMAT di Agoda.com! Ada soalan mengenai Five Kings Hotel? 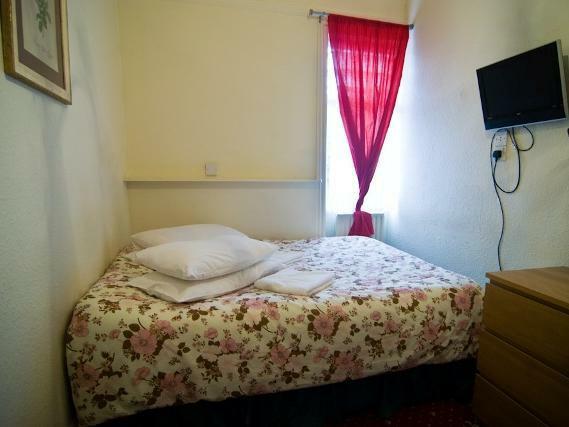 Terletak pada kedudukan yang baik di kawasan bisnes, siar-siar di bandar London, Five Kings Hotel menyediakan tempat yang paling sesuai untuk anda berehat seketika dari kesibukan hari anda. Dari sini, tetamu boleh menikmati akses mudah kepada semua yang bandar meriah ini boleh tawarkan. Bagi anda yang ingin pergi agak jauh, Ben Oakley Gallery, Bukit Parlimen Lido, Emirates Stadium merupakan beberapa daya tarikan untuk pelawat. Pendek kata, semua perkhidmatan dan kemudahan yang anda harapkan daripada Hotels Solutions Direct adalah tepat bagi keselesaan seperti berada di rumah anda sendiri. Ketika menginap di hartanah yang indah ini, para tetamu boleh menikmati Wi-Fi di tempat awam, pengangkutan lapangan terbang, bilik keluarga, restoran, lawatan. Semua penginapan bagi tetamu menawarkan kemudahan yang difikirkan dengan teliti bagi memastikan rasa selesa yang sukar ditandingi. Taman di hotel merupakan tempat yang ideal untuk anda relaks dan tenangkan diri selepas hari yang sibuk. Dengan lokasi yang ideal dan kemudahan sepadan, Five Kings Hotel sangat memuaskan hati. The shared bathroom is shared with the Manager of the hotel. Toiletries are stored there as well as hair colouring equipment. The bedding and matresses is very old but clean. The carpet didnt seem clean at all. I read the reviews before going, and they differ a lot. We rented three rooms, and now I understand the reviews. 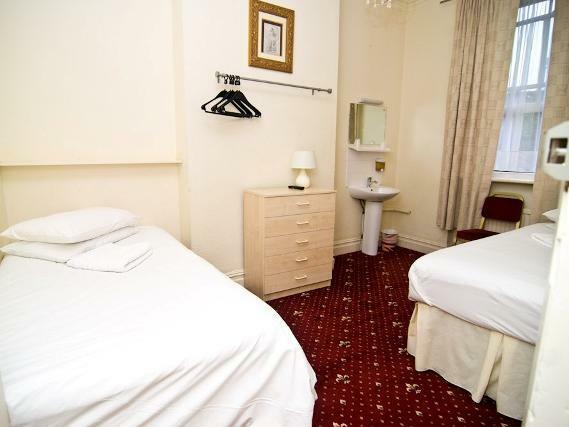 The two rooms were very fine, but room nr. 6 is far two small. It has private bath and toilette, but I have never seen anything so tiny and there comes no water from the shower. In fact room nr. 6 is a closet with an even smaller closet in. It you try to take a bath in there, everything except you, will get wet. We went upstairs and used the common bath witch was fine, but we were bothered by the fact that we were paying for a private bath. One more thing worth mentioning is “The Pineapple”. A nearby pub, which looked dull from the outside, but which was in fact very nice, and had a very nice garden. very good for an overnight stay. Suited our needs perfectly. 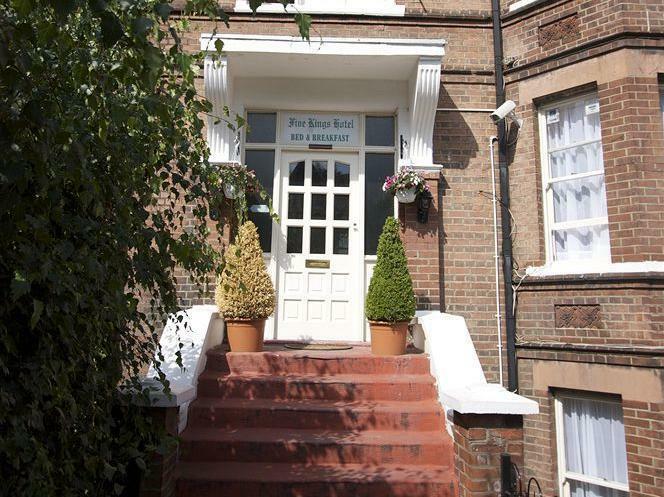 Five Kings hotel is mainly for people who wish to get away from city life. Here you will enjoy the peaceful environment in the morning. The staffs there are very friendly too. 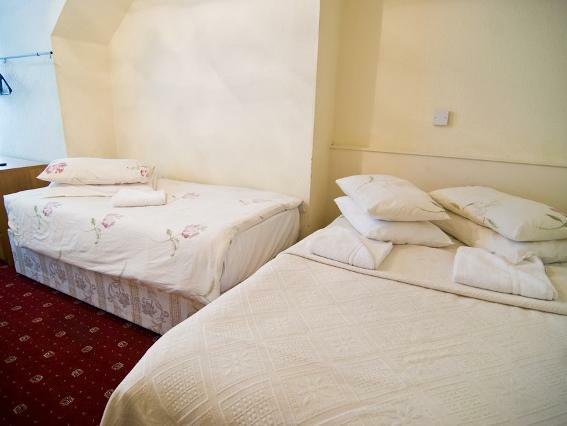 A friend of mine and I had booked a double room with breakfast for two nights in January 2014. I had e-mailed them that my friend would check-in around 18:00 and that I would arrive around 22:00, but apparently overwhelmed the Five Kings by that. At first they did not want to let me in, had never heard of Agoda, did as if my friend had not checked-in until I discovered his name on a piece of paper. 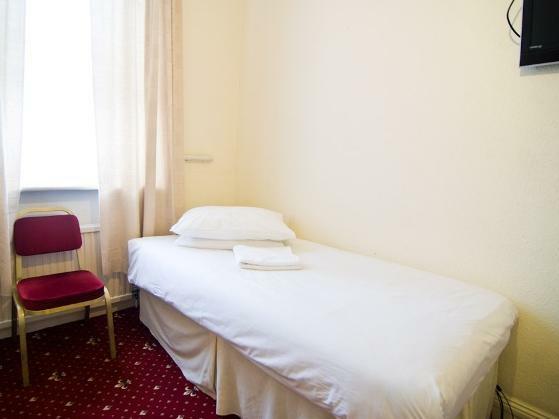 Eventually, we found him fast asleep in a clean and quiet, but very narrow room with a toilet cell so small that people with long legs cannot close the door when using the cell. The main surprise awaited us the next morning, however. We showed up around 09:30 - to learn that breakfast is only available until 08:45 - as written on a sheet which was sticking on the reception window and which can easily be overlooked when the window is open, as it usually is when people are checking-in. Neither cereals, nor slices of bread, nor orange juice! All past the deadline! Tough luck! The following morning, we got up earlier. A maid was puttering in the kitchen - and finally took a seat in the breakfast room for watching TV. When I asked the young woman about the fully-cooked breakfast, she replied in an unfriendly manner that I had to order what I would like on the previous day. I requested a boiled egg anyhow and was told that they have bacon and beans, which she reluctantly prepared for us. They have their regular guests and are not interested in others. If you are not a regular guest, only book with them when you can make sure that you and your room-mate check-in together, when you read all of their postings on checking-in, and when you are an undemanding early morning bird who likes unfriendly staff. Unfortunately we were disappointed with our room at the Five Kings Hotel, for the price we paid the room was incredibly small with not even enough room for our luggage on the floor. The bathroom was not big enough to fit in, but thankfully there are also shared facilities to use. The cleanliness was fine and the staff were lovely, cooking us breakfast each morning. My main issue is that I don't think they should be promoting themselves as a Hotel, but rather a hostel or something similar as the quality of the room was only what you would expect from cheaper shared accommodations. Costumer service ok but no hot water or plain water after breakfast. .. no near by shop to get it. winter time cnt make coffee n no plain water to drink..plz tk note. Even though budget hotel water is important. .
i didn't expect much from its room rate. tiny room, tiny bathroom, tiny washroom, remote location. more hooks should be provided in the bathroom as it's really hard to hang clothes and towels with only 2 small hooks. what made my stay really uncomfortable was the poor attitude from the only maid in the breakfast cafe. she showed long face and rude tone every day to me and my family. every morning i ordered "bacon, eggs and baked beans", she just placed a question mark on her forehead and kept saying "i don't understand. say again." execuse me, these 3 things are the only 3 hot food that you provide in your cafe. i really really don't understand why you couldn't understand! obviously she is not a brit, maybe eastern european, but that couldn't be a sound reason, as you made these 3 things every day!!! during my stay @ five kings hotel the service as well as the character of the house instantly made me feel somewhat at home. 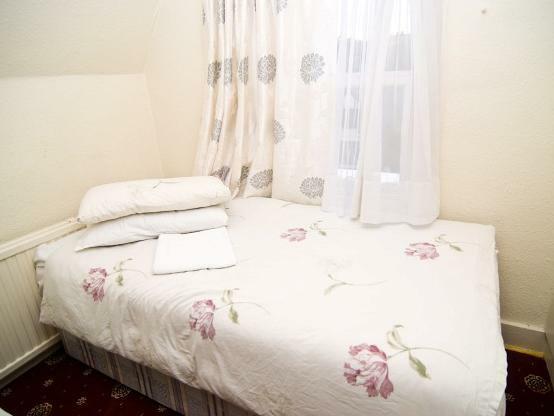 there is not much happening, the walls are rather thin but the garden in the back, the attentive service and the cleanliness of the place are just what i was looking for. my room was rather small but fine for me staying alone in it, if all the rooms are about that size (don't know) couples might find it a bit too small. breakfast is fresh and definitely above average in this price class i'd say. its a bit of a walk (~8-10 min) from tuffnel park underground, kentish town station is also in walking distance (also ~10-12 min). holloway road with plenty of shops, bars and restaurants is east of five kings and a only little further to walk. 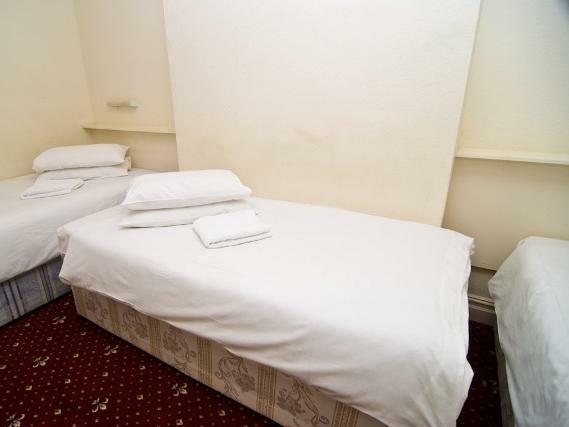 overall i would for sure come back to five kings on my next visit to london and could recommend this place for everyone not willing to spent a fortune on accomodation which may just provide marginal benefits if any at all. Hay qu7e tener en cuenta que estamos hablando de estancia en londres. Apartir de ahí es el mejor sitio donde me he alojado en esta ciudad de tipo bed and breakfast. No todas las habitaciones tienen ducha, pero la nºº5, donde estuvimos sí. Supongo fuimos afortunados , però igualmente lo recomiendo pq esta en zona dos del metro y a pocos metros de tiendas y restaurantes en tufnel street. Cuidado la estacion cerrada hasta marzo de 2016, pero muy buenas conexiones bus.